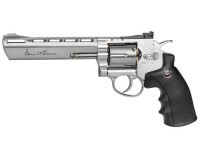 This Dan Wesson CO2 pellet revolver is extremely realistic and has won a huge following. 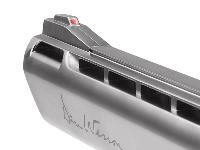 The swing-out cylinder holds 6 shells. Load one pellet into each shell. 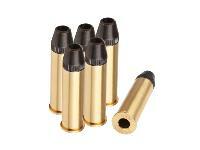 When you've shot all 6 pellets, use the gun's ejector rod to push out all the spent shells. 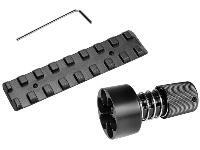 A speedloader is included and makes reloads a cinch. 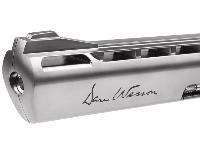 Consider mounting the included Weaver rail and putting a dot sight on your Dan Wesson pellet revolver. You might see a significant increase in accuracy! 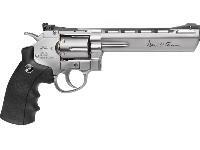 Things I liked: The heft and balance of the weapon are very similar to real handguns that I own. 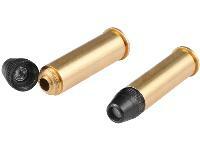 The fit and finish are very acceptable and the reloading, both cylinder and co2 cartridge are very simple. Things I would have changed: The trigger action needs some serious work. I'm a retired LEO who participated in Police Revolver competition for about 22 years. 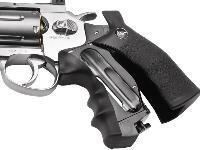 My competition weapons had very smooth actions and accounted for numerous wins in several categories. 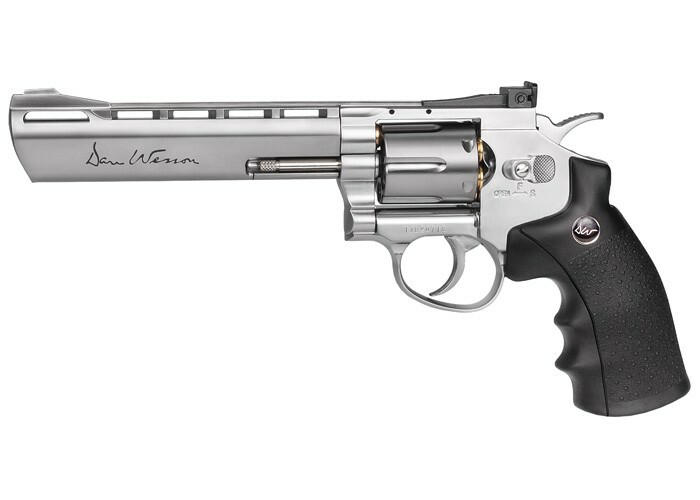 The action on this Dan Wesson revolver stacks up tension and is very rough, to say the least. 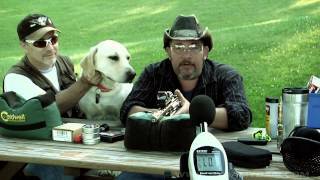 Firing single action takes a lot of the guess work out of accurate firing, but the double action is hopeless. Since I paid about 1/10th the cost of my competition revolver, my expectations were lower accordingly. 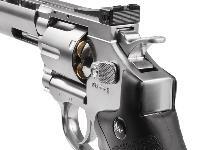 What others should know: This is not a cheap handgun. The action indexes as it is supposed to, with a great amount of shooter effort. 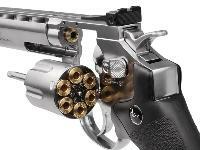 I mounte4d my red dot sight from Hawke onto this revolver and shrank my groups considerably. I'm 70 yrs old and only wish that I bought this weapon sooner in my life! 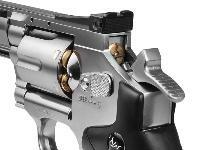 Do you sell a holster that this gun fits? Does it ship to Greece? Is this gun full metal? (excluding the handle) is the internal parts metal or polymer? Or something else? Full metal. Cyclinder is machined, rest of the fun is metal. Handle is black plastic.